​During construction of new buildings, cavities are often filled with glass fibre wool or rock wool panels placed between the two leaves (sides) of the cavity wall. Cavity wall glass fibre insulation panel. 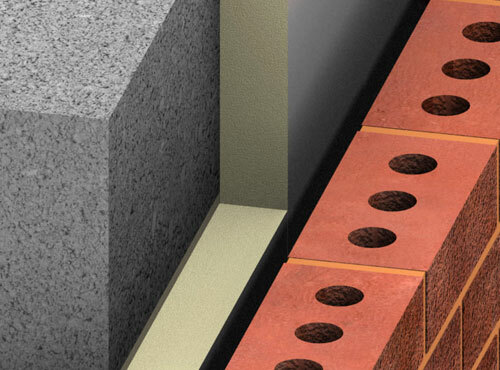 For existing buildings that were not built with insulated cavities, a fibrous material such as cellulose insulation or glass wool or polystyrene balls is pumped into the cavity through suitably drilled holes until it fills the entire wall space. 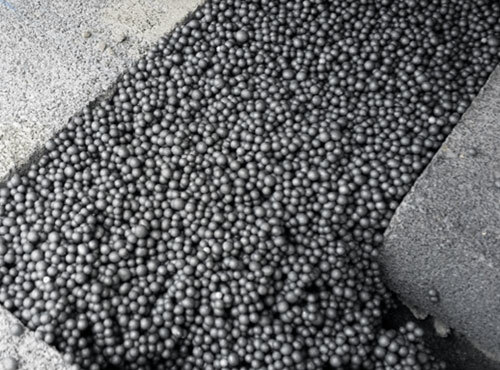 Pumped polystyrene balls cavity wall insulation. Foam can also be used to fill the gap. Although some foams used in the past, such as urea-formaldehyde, are no longer suitable (some people are allergic to this material), others, such as polyurethane, have taken their place. 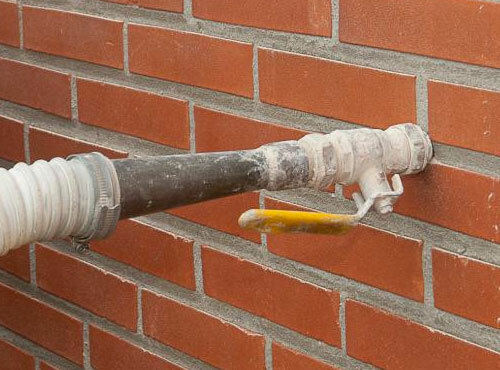 Pumped foam cavity wall insulation.